The tools we freely offer to kids and families are rooted in God's love and work to strengthen the family bond. Helping a family thrive starts by ensuring their basic needs are met, then walking alongside them on the path out of poverty. Our Pathway of Hope program does just that, through long-term case management for families with children under the age of 18. We also come alongside families by providing space for them to do life together at our community centers. Families receive the physical, emotional and spiritual support they need through our programs to foster better, brighter futures together. For children, this includes hundreds of after-school programs, a safe place to play, summer camps, and in many cases, the option for sports and music programs they might not otherwise have the opportunity to experience. Families can blossom when their needs are met. Hungry children show seven to 12 times as many symptoms of conduct disorders such as fighting, blaming others, having trouble with a teacher and figures of authority, rule breaking, and stealing, than their not-hungry peers. Once we've met a family's immediate needs, we invite them to participate in Pathway of Hope, our approach to securing a long-term path out of poverty. The program offers targeted services to families with children under the age of 18, both traditional and non-traditional family structures, that desire to break the cycle of crisis. Through case management, we focus on a family’s capabilities and raise hope by empowering them to overcome barriers on the path to sufficiency. Families set their own goals, and we partner with them to provide the resources needed to accomplish each one. This program is available at every Salvation Army Worship and Service Center in the Midwest. Learn more about Pathway of Hope. Salvation Army Kroc Centers serve families in a non-traditional way, through recreation and entertainment for all ages. Kroc Centers are state-of-the-art facilities that provide arts, education, fitness, and organized athletics opportunities. Youth can swim for the first time in their lives, young adults gain access to official-sized basketball and volleyball courts, families can join in fellowship at large-projection movie screenings, and more. Kroc Centers are strategically placed in communities with the most need — allowing families to see the beauty of their very own neighborhoods. 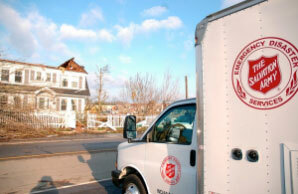 Salvation Army officers – ordained pastors – are available for individual counseling. Many locations also offer special group counseling opportunities, such as Fatherhood in Action or counseling for specific difficulties. Contact your local Worship and Service Center to ask about weekly programming. Children are crying for help in our very own communities. Over 11 million children are alone and lost after the school day ends. When you give to The Salvation Army, you provide funding for vital programs such as after school care and character building.Donate now. There is no doubt that parents are tough, but even they need some rest. Afterschool programs help parents manage stress, be more productive at work, and more caring at home. When you give to The Salvation Army, you provide funding for programs that help make families stronger and more loving.Donate now. Kids need a safe place to be themselves. Gangs are constantly recruiting for new members, so finding a kid who is alone and vulnerable is exactly what they look for. A gang-member is 60 times more likely to die by homicide then non-members. When you give to The Salvation Army, you provide funding for programs that help support safe family centers and after school activities.Donate now.